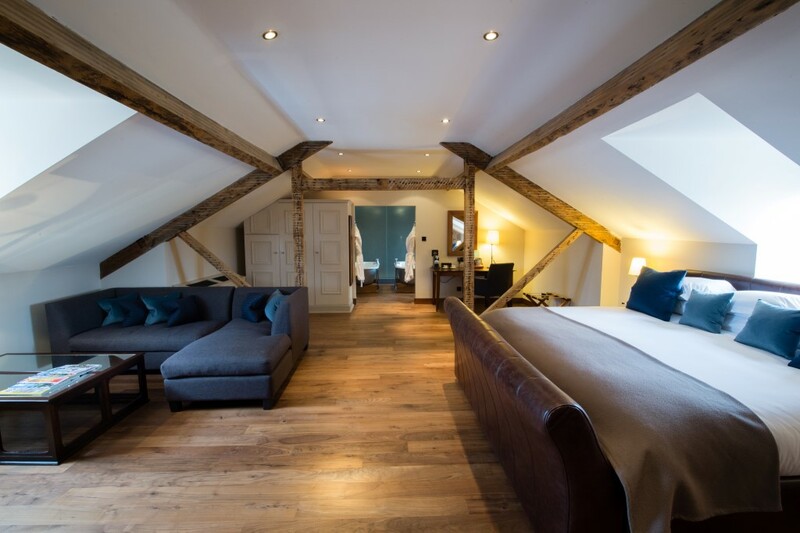 Today I am delighted to spotlight on the Hotel Du Vin Harrogate, a small but gorgeous luxury Yorkshire Hotel and Wedding Venue. 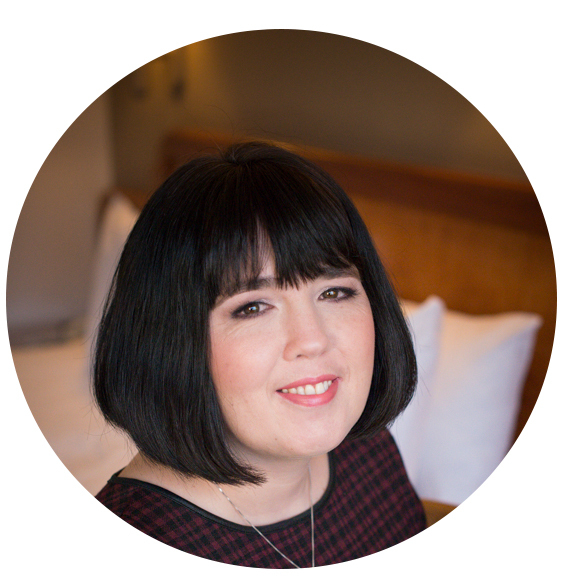 I recently had the absolute delight of being shown around the hotel whilst down on Yorkshire on vacation and I am really glad to have visited. Set opposite the grassland of The Stray in Old Town, this upscale hotel is built from a row of Georgian houses and stepping inside feels like being welcomed into a beautiful and cosy home rather than just another hotel. 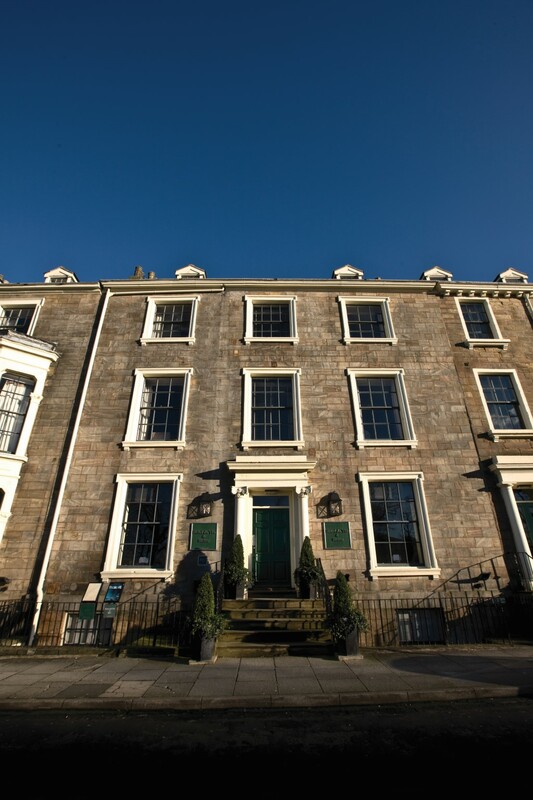 It has character, and a quirky period charm mixed with an inviting ambience and a wonderful Yorkshire greeting. 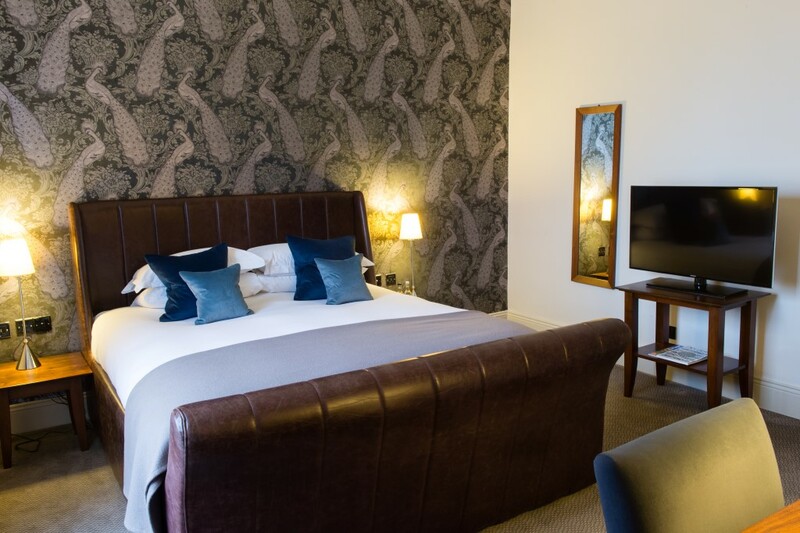 Housed within this impressive building are 48 timelessly styled bedrooms and suites, featuring luxurious handsprung mattresses, fine Egyptian linen, deep baths and powerful drench showers, plasma TVs and air conditioning. Whichever you or your guests choose – standard, superior, studios, loft suites or the signature suites you will amazed by the amount of space. The signature suites are huge with features like twin showers and roll top baths. 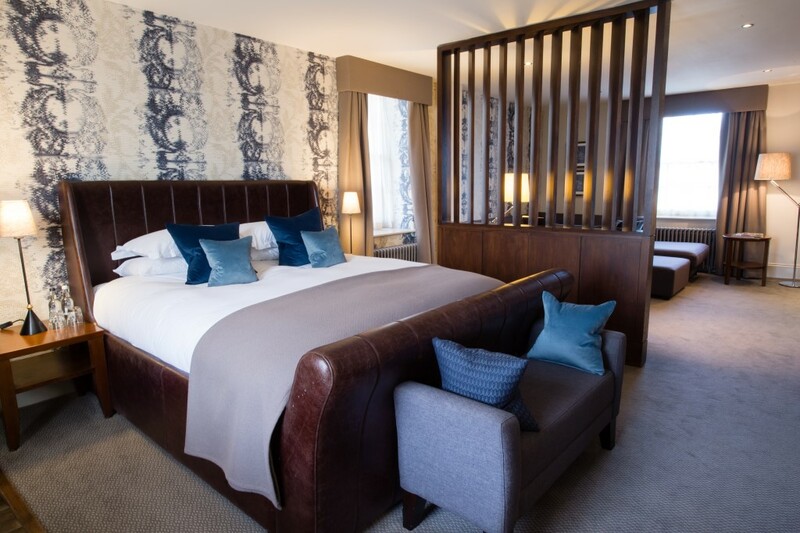 One of these large suites has been sponsored by local Harrogate Gin makers – Slingsby. 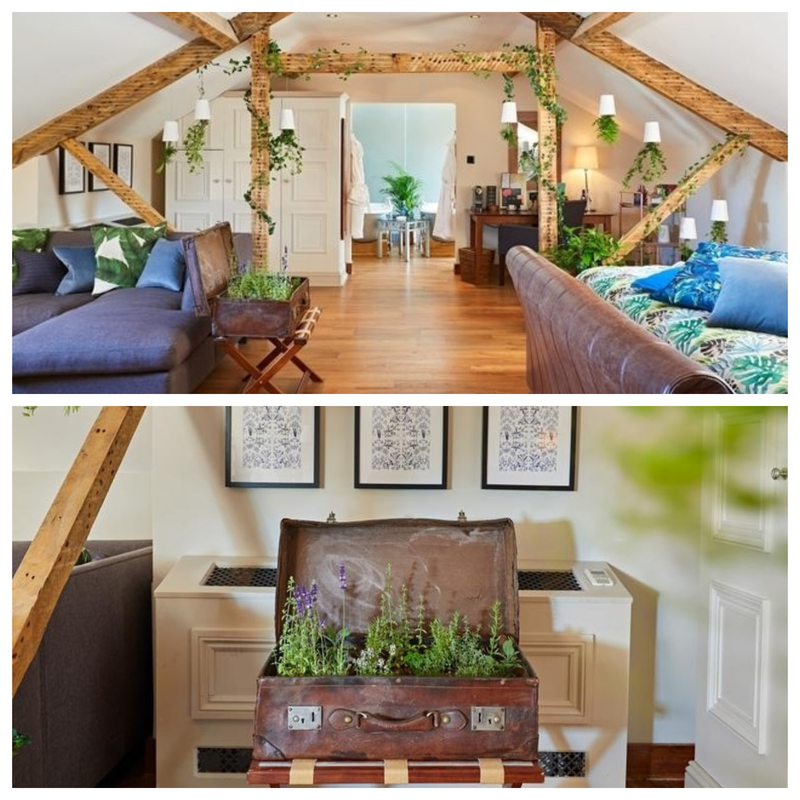 The room is decorated beautifully in a botanical style with ivy wrapped round the wooden beams. The complimentary Slingsby Gin bar comes with 2 bottles of gin (one standard, one rhubarb), fever tree tonic, fresh fruit and lots of herbs and berries. An old fashioned suit case showcases lots of growing fresh herbs as an added lovely touch. Henley Vineyards is the smaller of the hotels private rooms. Its an airy L-shaped room,situated at the front of the hotel overlooking the Stray with a intimate library feel. Wedding Breakfast here can seat up to 30 people with a reception of up to 50 people. Ruinart is the largest private room situated on the ground floor with views of the glorious courtyard. With bespoke artwork adorning the walls, ornate mirrors and a plethora of original features Ruinart truly is a breathtaking space. 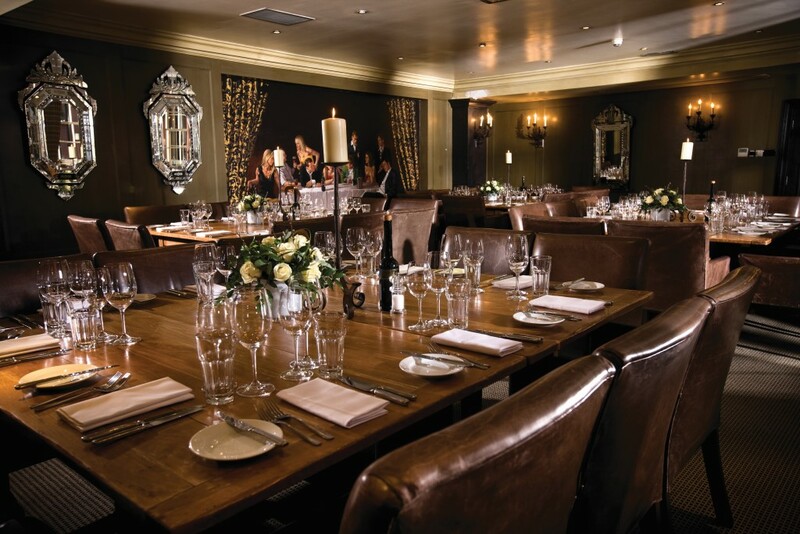 It can accommodate a Wedding Breakfast seating up to 60 people a reception of up to 90 people. For larger weddings the whole Bistro, with its classic french feel can be used exclusively to accommodate the largest of ceremonies and wedding breakfasts. Wedding Breakfast seats up to 90 people with a reception of up to 120 people. 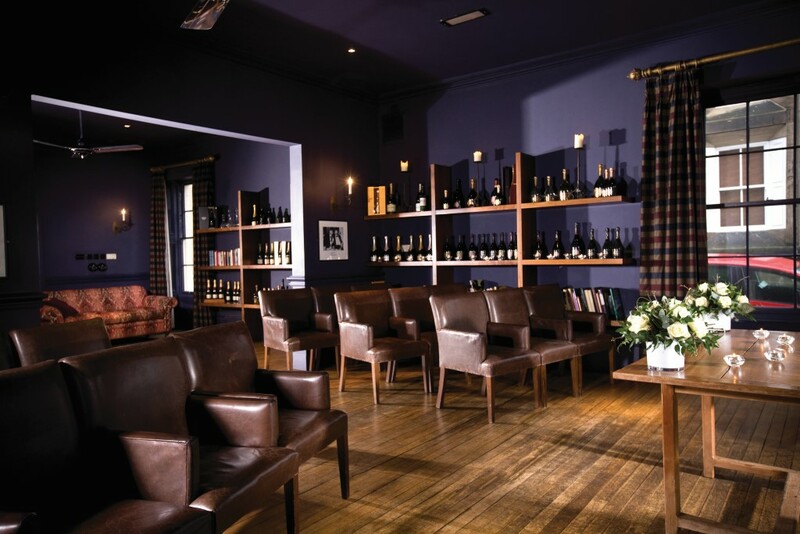 The Cellar Snug with its more manly feel is situated below the main bar, with a billiards table and direct access into the wine cellar. 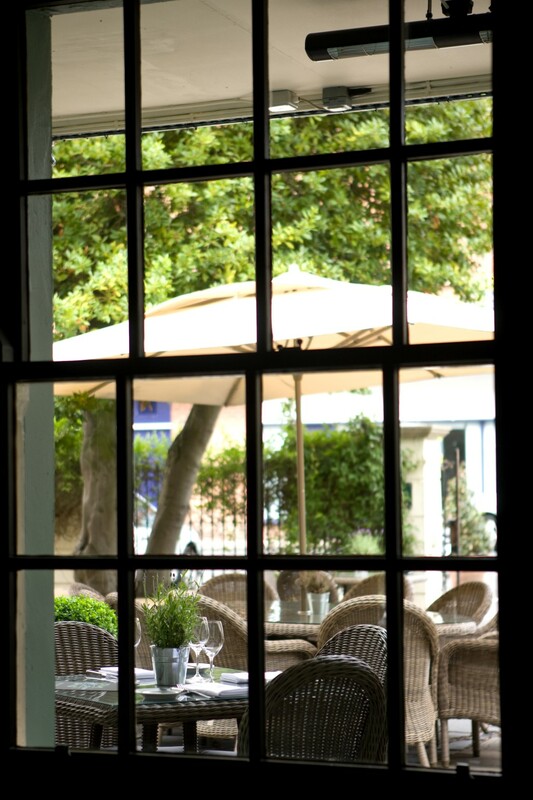 It is the ideal place for your aperitif and can also be hired exclusively for your drinks reception. Alternatively it would be a great spot for your engagement party or pre wedding evening with your Bridal party and friends. 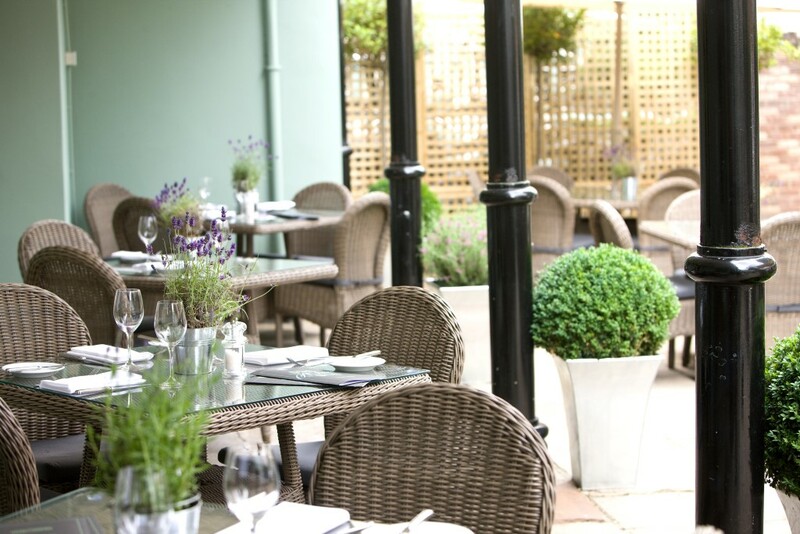 A beautiful courtyard is located at the rear of the hotel which provides a tranquil setting. Complete with a canopy of lights it is the perfect setting for canapés and drinks post reception, and it also leads into one of the ceremony rooms to provide a beautiful entrance. Hopefully sometime soon this pretty outdoor space will be licensed for your outdoor ceremony. For a pre Wedding treat especially with parents of the couple the Hotels Afternoon tea is incredible. 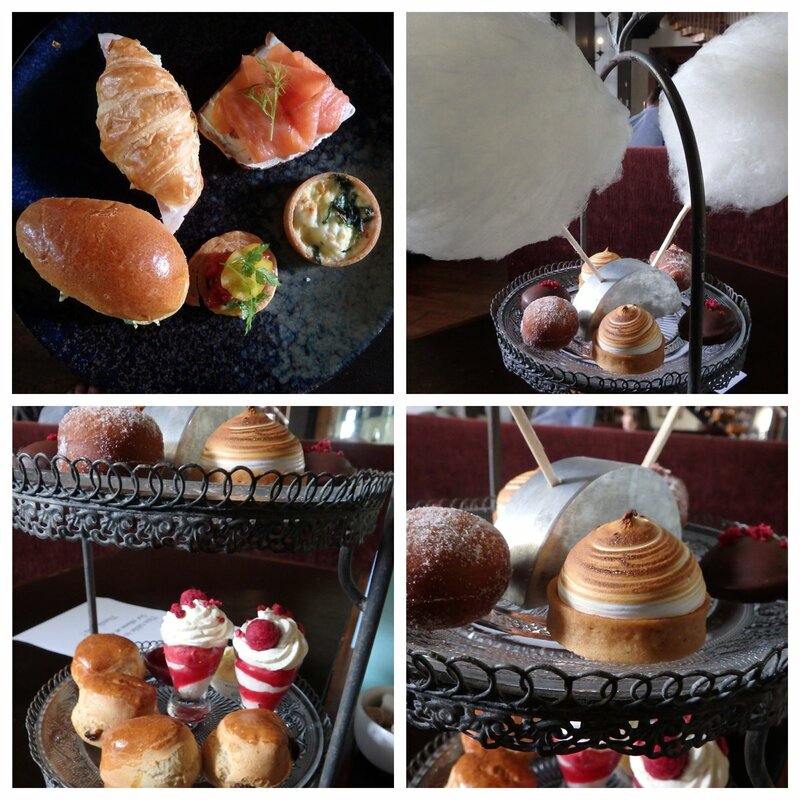 This traditional feast of finger sandwiches, scones with strawberry preserve and clotted cream, cakes, tea breads and savouries is just out of this world and in my experience is one of the very best afternoon teas myself or my family have ever had. The cotton candy was always going to be a winner with the kids too and the overall the experience was fabulous.. 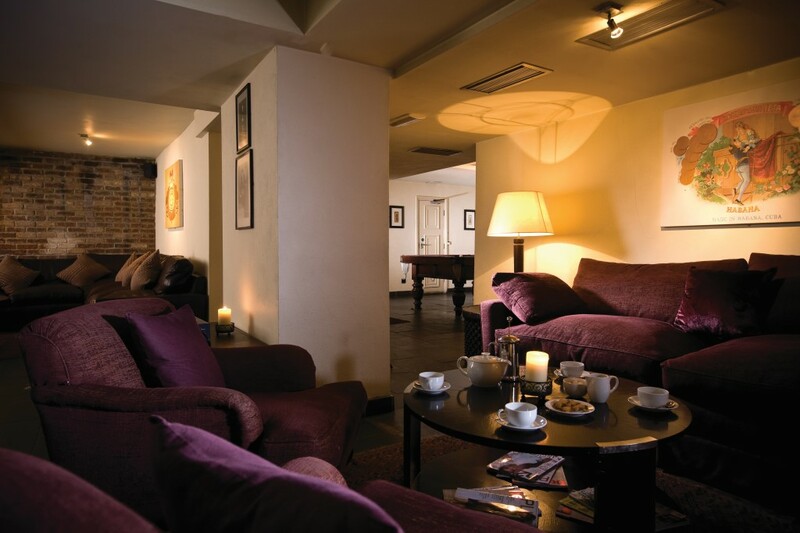 If you need to relax before your festivities then the Spa is the secluded sanctuary you’ve been looking for. 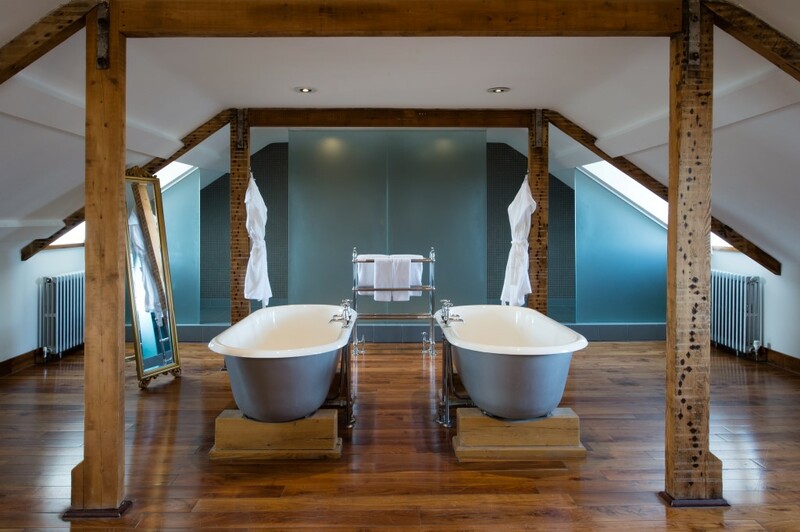 Spa du Vin has rooms equipped with ESPA products, offering luxury therapeutic and holistic treatments, steam rooms, Jessica nail bars and ven. a St Tropez tanning booth. 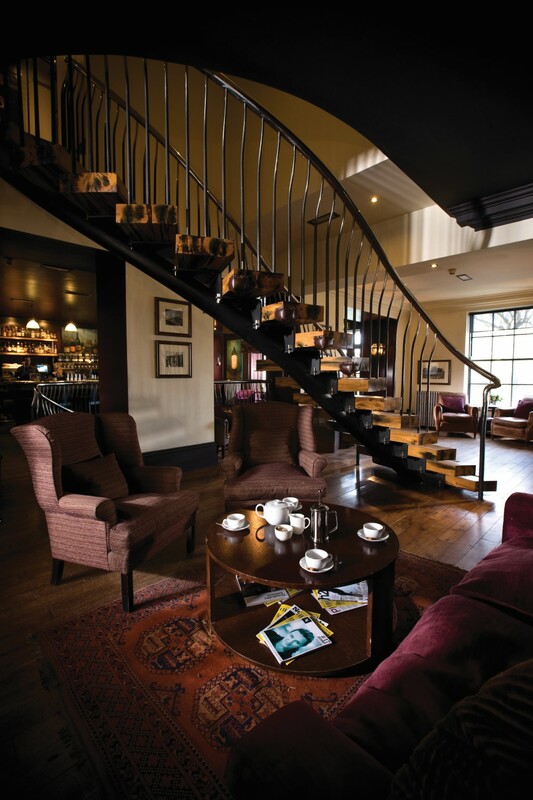 If you wish to get married soon the Hotel du Vin Harrogate is the perfect luxury Yorkshire hotel and venue for your Big Day. Book your wedding and receive 20% off for weddings held by December 2018 (excluding August). Also take a look at the hotels Wedding Brochure.